Studying can definitely demand a lot from you. One of those demands is your full attention, which is sometimes not the easiest thing to give! But what about if you’re trying to sneak some study time on the train? Or at a cafe? Or surrounded by the scenery in a park? Or in a loud computer lab at school? There’s one common theme when studying at all of these places – you have to put up with loads of noise. This can be far more distracting than music or a TV. You seemingly have no control over it. What’s worse, background noise has been shown to decrease people’s level of concentration as well as increasing stress levels. However, there are a few ways in which you can gain some control over the situation. One very effective way is through the use of earplugs. 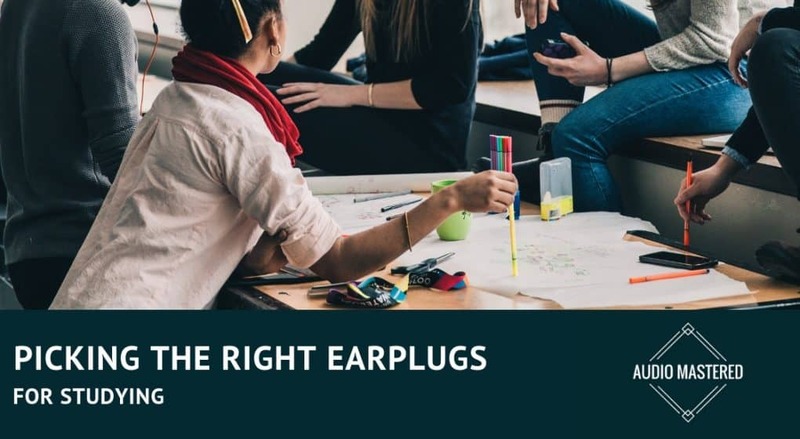 By simply using earplugs, you can turn these very public, sometimes crowded places into a quiet, serene, study powerhouse. How Much Noise Can Your Earplugs Block? Before jumping into it – you might like to know what to actually look for in a pair of good earplugs. Firstly, an important factor to determine an earplug’s efficacy is its rate of noise reduction. There’s a standardized rating system called NRR (Noise Reduction Rating). The higher the NRR, the more noise will be blocked from your surroundings. The NRR is sometimes a compromise between comfort and noise reduction level. However, there are a number of great options available that have found a balance. Reduce the NRR by 50% for slow-recovery earplugs. Interestingly, the “NIOSH recommends derating the NRR by a multiplicative factor of 75% for earmuffs, 50% for slow-recovery foam earplugs and custom earplugs, and 30% for all other earplugs.” In other words, you need to be cutting the noise reduction capabilities by 50%. So if the package has an NRR of 33 you can expect about a 16 dB reduction in noise levels. A regular human conversation is around 50 dB, so earplugs are definitely going to help reduce the distractions for studying. Another very important factor is comfort. If you’re going to be doing long stints of studying wearing earplugs, you want to make sure one of their features is that they’re comfortable! This is particularly relevant to people that are extremely sensitive to the sensation of pressure in the ears. This irritation can cause headaches and general discomfort. Going for a softer earplug should remedy this. It’s also important that you know how to use the earplug correctly. If you’re not inserting it correctly into your ear you will have a hard time finding the balance between comfort and noise reduction. Pull to open the ear. This step is ￼￼￼￼￼especially important. 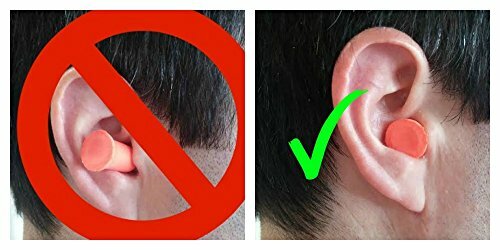 You should pull up and away on the top of your ear with the opposite hand so the earplug can slide in easily. Hold the earplug after inserting it. You should feel it expand nicely into your ear canal. If you feel an uncomfortable pressure this means you’ve entered it too deep into your ear canal. Price is also an important factor when buying earplugs, and it can vary widely in this market. Some earplugs can be bought for under $5 while custom made plugs can cost over $100. I recommend spending at least $10 on your earplugs. Buying the cheapest pair on the market has a greater chance of damaging your ears if you use them for prolonged use. Lastly, durability and re-usability is also a crucial point to consider. Some earplugs are designed to be disposable, while others are made to use again and again. How resistant the earplugs are to wear and tear (particularly when you give them a thorough cleaning! ), as well as if they retain their original shape are also important considerations. These plugs have a fantastically consistent positive online response, with many users reporting they’re extremely comfortable and work well. They’re made out of foam so they can fit snug into your ear and mold themselves to sit comfortably. Chances are, if you’re going to be using earplugs to study – you’re going to be needing them on a regular, long term basis. Flents come in jars of up to 50 pairs, which is fantastic value! Also, they’re designed to be reused anywhere from 3 to 8 times, so you know you’re getting as much bang for your buck as possible. 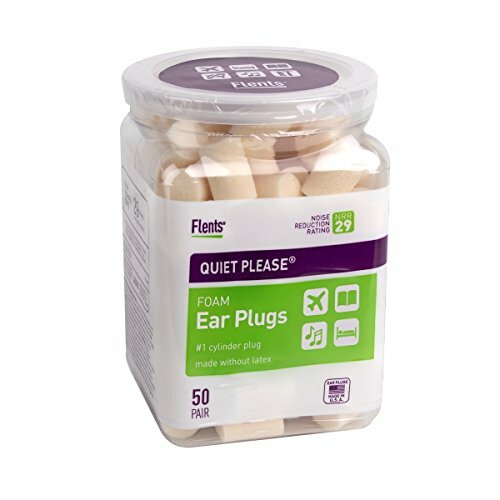 They have a pretty good noise reduction rating, so silencing the noise while you study should be easy to accomplish with these plugs. These have a pretty impressive NRR of 32 – nearly the highest on the market (for some perspective, the highest NRR is 33). The real highlight of these ones are how soft they are – they’re made with low pressure, slow release, comfort urethane foam. Comfort will definitely be a high priority if you’re spending hours with them in your ears! These are ergonomically shaped – so they should contour to the natural shape of the ear canal nice and snug. The foam is extremely dense, so you can rely on these to be fairly durable, with minimal wear and tear when inserting and removing them. This means you should be able to get a few uses out of them before needing a new pair! These also come in a jar of 50 pairs at a very reasonable price, so you’ll always have them handy for your next round of studying. Now, these are some serious plugs! For those looking for the ultimate solution for comfort, this may be the perfect route to take. This is a pair of great, high quality silicone ear plugs. 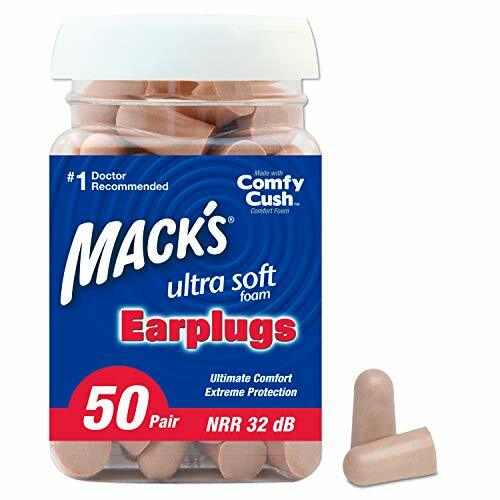 They are a little pricier than the disposable foam earplugs, but can offer perfectly tailored comfort and excellent noise reduction. In contrast to the foam plugs previously mentioned, silicone has some additional, unique properties. Since these can be fitted to the exact shape of your ear, this means you’ll get a perfect earplug that will never fall out (a pretty common experience with earplug users). You’ll also never experience discomfort inserting, removing or simply wearing the earplugs, which is also a common experience for many people. Ear canal shapes and sizes are unique for every person. Some have more depth, while others are more shallow. Some people have more narrow ear canals, while others are wider. 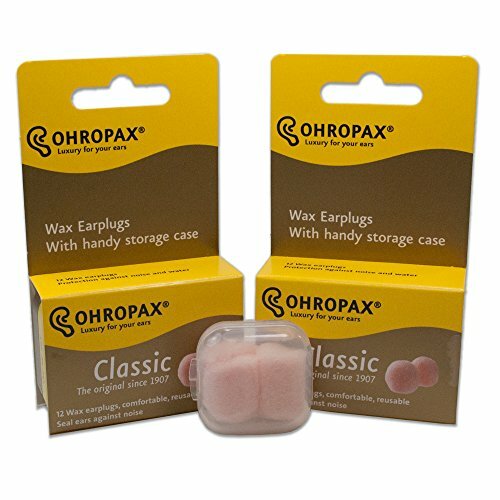 This is a great solution for anyone who has a uniquely shaped ear canal and you’ve experienced discomfort using other earplugs in the past as a result. It’s also a fantastic choice for anyone who seeks to put comfort as their number one priority. Comfort is pretty crucial if you’re wanting to focus on the books. Another alternative to foam or silicone is wax. Wax earplugs were actually the first material to be used for blocking out unwanted sound. They’re similar to the silicone plugs, in that they mold perfectly to the shape of your ear to provide maximum comfort. 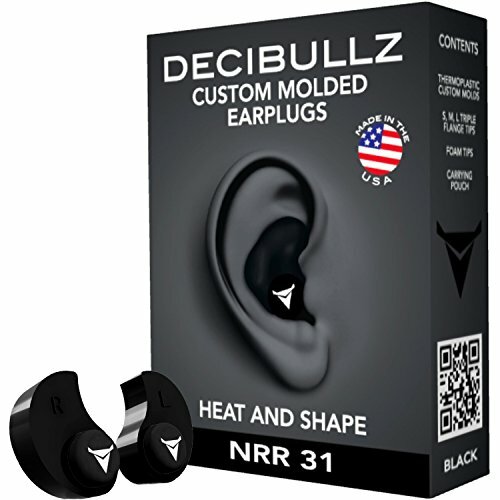 As you can see from their NRR, they aren’t as effective at noise reduction as their silicone or foam counterparts, but they will provide a lot of comfort. These have received a lot of love in reviews online, so there’s definitely something good going on with them. As the wax material is slightly sticky, this ensures that the earplug will stay exactly in place once you’ve inserted it in the ear and it’s molded itself nicely. They also come with a storage case if you’re on the go. There are many ways to get around the annoying disturbance of unwanted noise while you’re trying to prepare for your next exam. Earplugs are a smart solution to this issue! There’s a huge range of different products available, but these are definitely the most loved and highest quality – while delivering the best value. Wishing you the best of luck (and peaceful silence) with your studies!